Creatine Ethyl Ester Review. What is CEE? Sounds a little too good to be true? 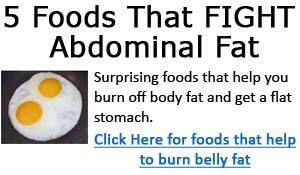 We'll find out as we present a list of various studies in this article below. First, we'll discuss what is creatine ethyl ester. Creatine ethyl ester HCL is a derivative of creatine monohydrate (CM), sold as an athletic performance enhancer and promoted as being better than CM for building muscle and strength. It is an ethyl ester derivative of creatine - the ethyl ester is claimed to promote a much better absorption rate than regular creatine in the body. However these claims are not supported by scientific studies, and in fact some studies have actually found CEE to be less stable than regular CM. Yes, you read that correct - less stable than creatine.1 According to wikipedia, "the compound was developed, patented and licensed through UNeMed, the technology transfer entity of the University of Nebraska Medical Center, and is sold under numerous brand names." Department of Life Sciences, Kingston University, Penrhyn Rd, Kingston-upon-Thames, United Kingdom. 2University of Northumbria, Sport Sciences, Northumbria University, Northumberland Building, Newcastle upon Tyne, United Kingdom. Study Summary: Creatine Ethyl Ester is a synthetic creatine widely used by athletes and bodybuilders. "It comprises of creatine with an ethyl group attached and this molecular configuration is reported to provide several advantages over creatine monohydrate (CM). The Medical Research Institute (CA, USA) claim that the CEE in their product (CE2) provides greater solubility in lipids, leading to improved absorption. The study mentions that these claims are not supported by independent studies, and no comparative data is available for creatine ethyl ester and creatine monohydrate. The study conducted by Child and Tallon was designed to assess the availability of creatine from 3 commercial creatine products during degradation in acidic conditions similar to those that occur in the stomach. Of these 3 commercial products, 2 contained creatine ethyl ester (San CM2 Alpha, CE2, and a commercially available creatine monohydrate Creapure). An independent lab performed the analysis. Study Method: Each product was incubated in 900ml of pH1 HCL and samples were taken at 5, 30, and 120 minutes - at which time creatine availability was assessed by immediately assaying for free creatine, creatine ethyl ester, and creatinine (breakdown product of creatine) using HPLC. At 30 minutes, 73% of the initial CEE was available from CE2, while the CEE of San CM2 Alpha was 62%. Comparatively, more than 99% of the creatine monohydrate remained available. They also found that this reduction in CEE availability was also accompanied by substantial increase in creatinine formation. After 120 minutes, 72% of the creatine ethyl ester from CE2 was available, but only 11% of the creatine ethyl ester was available from San CM2 Alpha. At this point still 99% of the creatine remained available from the CM product. Study Conclusion: From their findings, the researchers concluded that the "addition of the ethyl group to creatine actually reduces acid stability and accelerates its breakdown to creatinine. This substantially reduces creatine availability in its esterified form and as a consequence creatines such as San CM2 and CE2 are inferior to CM as a source of free creatine." What can we, as consumers, get out of all this? First and foremost is the claim that CEE provides several advantages over CM because of its "increased solubility and stability" is false - obviously, all these false claims have been debunked by the study above. CEE is not more stable than regular creatine - in fact, it is less stable. Next, price. Creatine ethyl ester products cost more than regular creatine monohydrate. Next time you're due for a creatine purchase, ask yourself whether you are willing to spend extra money for a product promoted and hyped on false claims, where in fact, it is less stable and breaks down to creatinine more than regular creatine. Does Creatine Ethyl Ester Work? However, the bottom line of it all is that creatine ethyl ester is not better than creatine monohydrate, as the supplement manufacturers would have you believe, and you'll probably be better off spending your hard earned money on some regular creatine monohydrate. 1. Child R1 and Tallon MJ2. 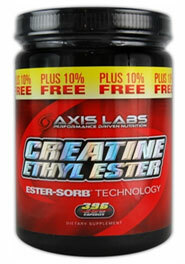 Creatine ethyl ester rapidly degrades to creatinine in stomach acid. Department of Life Sciences, Kingston University, Penrhyn Rd, Kingston-upon-Thames, United Kingdom. 2University of Northumbria, Sport Sciences, Northumbria University, Northumberland Building, Newcastle upon Tyne, United Kingdom.